The flexibility and tear resistance of thermoplastics makes them perfect for use in the manufacturing of a wide variety of cables. Manufacturers are in constant need of materials that will lead to the development of durable and versatile cables that can be used across the board; from computer cables to more heavy-duty cable types. TPE cable types are particularly popular in the automotive and household appliance industries, offering just the right amount of flexibility and insulation. Thermoplastics can be molded into virtually any size or shape of cable, making them perfect for the manufacturers of tiny, fiddly cables as well as larger, sturdier cables for bigger equipment. 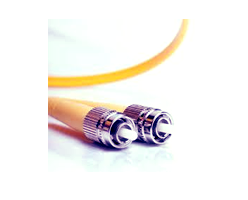 A TPE cable can be made softer and more pliable depending on how it will be used. The rubber-like nature of this type of cable means that it can be stretched and bent without causing damage. TPE headphone cables are becoming increasingly popular for this reason alone. Virtually no other cable types undergo the stress of headphone cables simply because they are “manhandled” so much by users. Manufacturers may wish to consider thermoplastics as a way forward in terms of creating headphone cables that will not strip, tear or crack with long term use. Similarly, cables used in computers and household appliances need to be flexible and soft enough to be pushed, pulled, and rearranged. However, they need to withstand constant pressure as well. Thermoplastics assist in the manufacturing of cables that are soft to the touch and yet highly durable. Unsurprisingly, the application of thermoplastics extends to most types of cables. Fiber optic cables often use TPEs and TPRs in their construction due to the materials’ properties. From the head of the cable to the insulation inside to the jacket, thermoplastic elastomers cover it all. 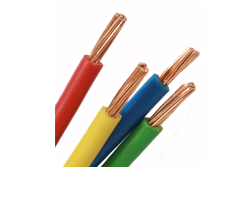 The rubber-like nature of TPEs and TPRs makes them ideal for use in cable jackets. This part of the cable should be color-coded for easy use, particularly when the equipment in question requires occasional re-wiring and thermoplastic makes coloring easy. The additional softness of these cables also makes them easy to use and simple to maneuver into small spaces, something anyone who does wiring can appreciate. 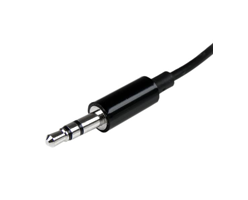 Thermoplastics offer a superior lightweight cable for the use in music and audio. With it’s flexibility and soft touch, TPEs and TPRs present a no-fuss experience and have the longevity and durability to handle even the hardest rockers. Star Thermoplastics would love to get started working with you. With our wide variety of thermoplastic formulations we can deliver solutions that meet your exact specifications and needs for your product. As expert TPE manufacturers we understand completely what’s required to quickly get your production up and running.